Steve Currier might just have the best story for starting a book project ever. It begins with being a youngster in Cornwall, Ontario, and deeply into hockey. He would run across references to defunct NHL teams and became curious, especially about the California Golden Seals. The result is The California Golden Seals: a Tale of White Skates and Red Ink, and One of the NHL’s Most Outlandish Teams, a big book at 496 pages, with tons of photos including some gems from personal collections. The Seals joined the NHL during the great 1967 expansion, and were initially based in San Francisco, in the poorly-suited for hockey Cow Palace. A move across the bay to Oakland hurt the team, as did ownership issues. In 1976, the Seals became the Cleveland Barons for two seasons before folding, with much of the talent getting absorbed by the Minnesota North Stars. To get the story, Currier sought out players, such as Lyle Carter, Ted Hampson, Joey Johnston, Marshall Johnston, Wayne King, Larry Lund, Dennis Maruk, Howie Menard, Morris Mott, Larry Patey, Tim Ryan, the late Frank Selke Jr., Len Shapiro, Gary Simmons, Joe Starkey, and Tom Thurlby. The Seals Booster Club was a help too, as well as various other NHL players and broadcasters. Many of the stories of the chase, producing the book, and other goodies can be found at the extensive website that Currier runs, http://goldensealshockey.com. He started it in 2016, and maintains it when the 38-year-old Ottawa native can squeeze in time as an academic director at a school. 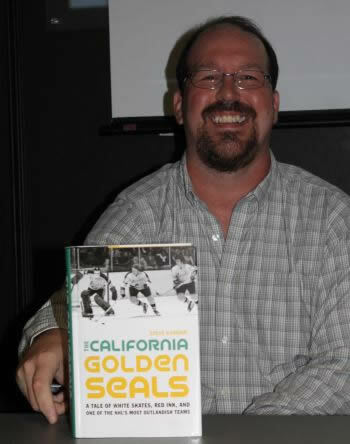 This is Currier's first book and he did his first event on Monday, October 23, 2017, a California Golden Seals night organized by Dr. Gene Willis at St. Michael's College in Toronto, with former players Wayne King, Joey Johnston, Marv Edwards and Reggie Leach on hand. He was able to share his thoughts on the team, whether it could have survived had circumstances been different—such as drafting Guy Lafleur or Marcel Dionne. 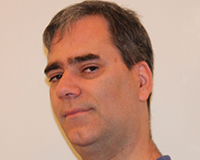 At the other end of the spectrum than Currier is veteran writer Eric Zweig, with a ton of hockey books to his name, including fiction and children's books. 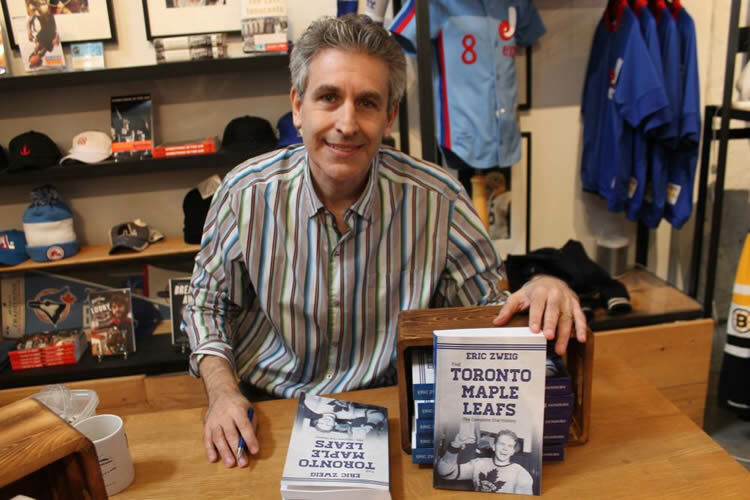 His latest is called The Toronto Maple Leafs: The Complete Oral History and its publication is a good example of how one project can lead to another. While at a party, Zweig approached Michael Melgaard, the new editor at Dundurn Press, about his idea of an Art Ross biography, which came out in 2015. At the time of the meeting, Melgaard had suggested another idea. The concept is exactly as described—the entire history of the Toronto Maple Leaf hockey team, all 100 years, is told through quotes, anecdotes and newspaper descriptions. There are plenty of books already about the Leafs, especially autobiographies from the likes of Punch Imlach, Harold Ballard, Darryl Sittler, Tiger Williams, Lanny McDonald, Wendel Clark, Johnny Bower, Bobby Baun, Billy Harris, Carl Brewer, Eddie Shack, Danny Lewicki – the list does go on; plus there are the biographies on the likes of Conn Smythe and Bill Barilko, as well as coffee table photo books, fact books, yearbooks, and so much more. And that doesn't include the just-released books by Doug Gilmour and a look at Maple Leaf Gardens board member J.P. Bickell. Asked to consider where the holes are in the Leafs book world, Zweig gave it some thought: “If money and sales (and time!) were no object, I would LOVE to do a complete biography of Hap Day. I knew he’d been a St. Pat, an original Leaf, a captain a coach and the general manager but I still didn’t realize how important he was to the history of the Leafs. Though people eventually tired of his defense-first approach, I think he was way ahead of his time with that, and would fit in perfectly with, for example, Mike Babcock today. And then Conn Smythe (who probably gets more acclaim in team history than he deserves in many ways) more or less cuts him loose to clear the way for his son Stafford Smythe to take over the team when Day probably should have been promoted to president.